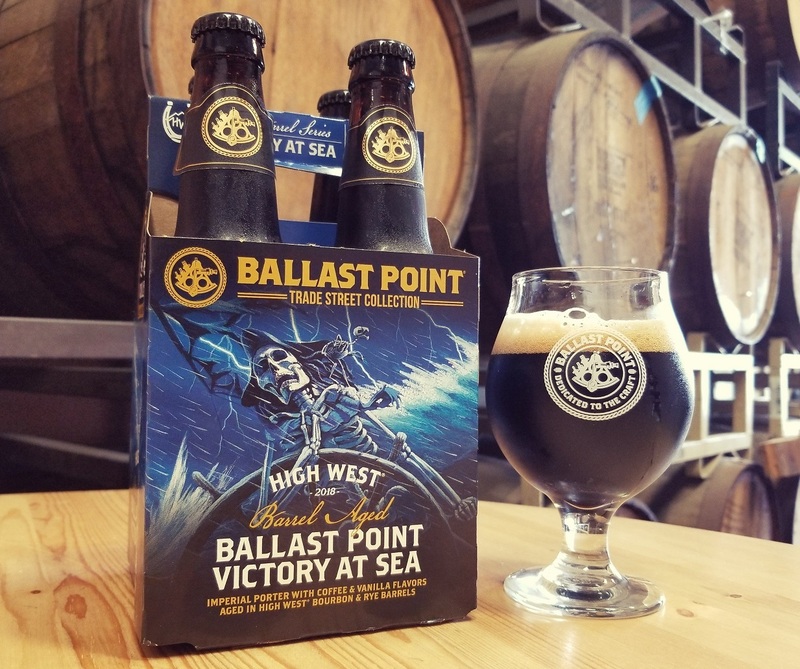 We partnered with our friends at High West® Distillery to create a barrel-aged version of Ballast Point Victory at Sea, our award-winning Imperial Porter with cold-steeped coffee and vanilla. From a blend of Ballast Point Victory at Sea aged in High West’s own bourbon & rye whiskey oak casks, new layers of complexity emerge with notes of soft caramel and smoky oak over a dark chocolate and roasted almond body. High West crafts delicious and distinctive whiskeys to honor the American West, making it the perfect pairing with our signature San Diego-born porter. From Jose Mejia of Mexicali, California on 11/5/2018 .